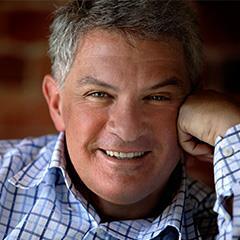 How fortunate we are to have highly sought after TV personality, author, and all round amazing speaker, Michael Carr Gregg joining with us to bring our community a wealth of knowledge at our upcoming forum. Michael is one of Australia's highest profile psychologists. He works in private practice as a nationally registered child and adolescent psychologist and is passionate about delivering national and international evidence based psychology workshops and seminars that make a difference to the health and wellbeing of young people. His training and approach incorporates cognitive behavioural therapy (CBT), Acceptance and Commitment Therapy (ACT), mindfulness skills and interventions drawn from positive psychology research. He is a founding member of the National Centre Against Bullying and Chairs their Digital Literacy Committee. From October 2010 - 2013 he was appointed the official advisor to the Queensland government on cybersafety. He is member of the Australian Psychological Society Committee (Melbourne Branch), a Director of the an ambassador for the federal Government'sNational Drugs Campaign, a columnist for a number of publications including New Idea, Girlfriend Magazine and the Australian Boarding Staffpublication Lightsout. he is the resident parenting expert on Ch 7's Sunrise as well as Psychologist for the top rating Morning Show with Neil Mitchellon Radio 3AW. Our first speaker was Dr Michael Carr-Gregg. Dr Michael talked about the state of our youth in Australia. He drew his observations from several respected sources, many are listed below for your referral. Young Australians today are worried about coping with stress (38.4%), school or study problems (33.6%), body image (26.5%) and depression (20.0%). He noted that suicide rates in young women in particular have risen significantly in just 10 years. Australia's suicide rate is at it's highest level in 13 years. Suicide accounts for 33% of deaths among Australians aged 15-24. He listed the seven signs of depression in youth, but I have listed what I have found. Dr Michael then moved into the area of self harm (usually cutting) and for girls, it does not look good. He made the point that girls who self harm are more likely to know of others who self harm. In a two year survey of 6300 families, 1 in 10 girls were self harming. Roy Morgan research shows : the proportion of Australians aged 18 and over who reported experiencing an anxiety condition in the last 12 months has grown by almost 40% in the last four years. So the facts about how bad it is were presented. What is the solution? Resilience was the next topic covered. Resilience:“…is the human capacity to face, overcome, be strengthened by and even be transformed by adversity. Firstly Dr Michael drew on a paper produced in the 1970s by Professor Emmy Werner which studied a population of children in Kauai, Hawaii. Basically speaking, the population of Kauai were largely unemployed and destitute with no hope of a future. The study was on the kids who were growing up in this environment. The result were that 2/3rds exhibited destructive behaviours as teens (chronic unemployment, substance abuse, teen pregnancy) but 1/3rd did not exhibit destructive behaviours. Social/ Emotional competencies: Basic social confidence and interaction. Positive self talk: Self-talk is basically your inner voice, the voice in your mind which says things that you don’t necessarily say out loud. Often self-talk happens without you even realising it and can be a subtle running commentary going on in the background of your mind. But what you say in your mind can determine a lot of how you feel about who you are. Spirituality: The ability to believe in something bigger than themselves. Charismatic Adult: Adult role models who the children emulate or learn from. Incredibly exciting news. 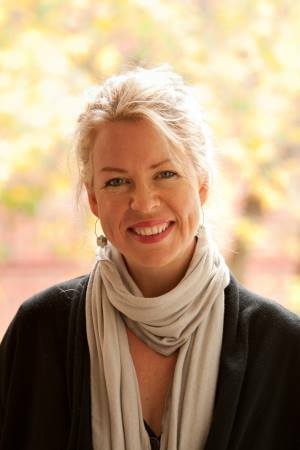 Associate Professor Felice Jacka is now confirmed as our third speaker. Felice discusses growing brains and how food affects development, intelligence, and depression, and how to help your teenagers grow into healthy happy adults. A/Prof Felice Jacka is a Principal Research Fellow within the Deakin University School of Medicine based at Barwon Health in Geelong. She is also an honorary Research Fellow with the Department of Psychiatry at the University of Melbourne. Over the last seven years A/Prof Jacka has been developing an innovative program of research that examines how individuals’ diets interact with the risk for mental health problems. This research is being carried out with the ultimate goal of developing an evidence-based public health message for the primary prevention of the common mental disorders. A/Prof Jacka’s ongoing program of research incorporates a broad range of epidemiological and public health investigations, with extensive partnerships and collaborations in Australia and elsewhere involving the acknowledged experts in the field of psychiatry and public health. The program spans the spectrum of research, comprising detailed investigations of biological mechanisms and drivers of the relationships between lifestyle and mental health, such as biomarkers; to familial, demographic and social contributors to both lifestyle and mental health; through to the development of community based interventions. It aims to yield new knowledge that will be readily translated and will be aimed at informing public policy. The primary goal is to develop a coherent public health message and effective, best-practice strategies for the universal primary prevention of the common mental disorders. 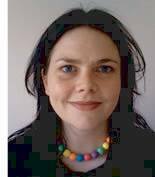 Dr Claire Kelly is the Manager of Youth Programs at MHFA Australia and an Honorary Fellow at Deakin University. Claire has been involved with MHFA since 2003, when she first became an instructor while completing her Doctorate at the Centre for Mental Health Research at the Australian National University in Canberra, where the program was first developed. Prior to her current position, Claire worked on the MHFA Guidelines used to develop Edition 3 of MHFA and YMHFA. Claire’s PhD thesis was written on the mental health literacy of Australian adolescents. Her main passion is the mental health of young people and minimising the impacts that mental health problems can have on development, educational outcomes and long-term functioning. Claire has suffered episodes of depression and anxiety since adolescence, which has been a driver for this work.